A few days ago I received something special in the mail. 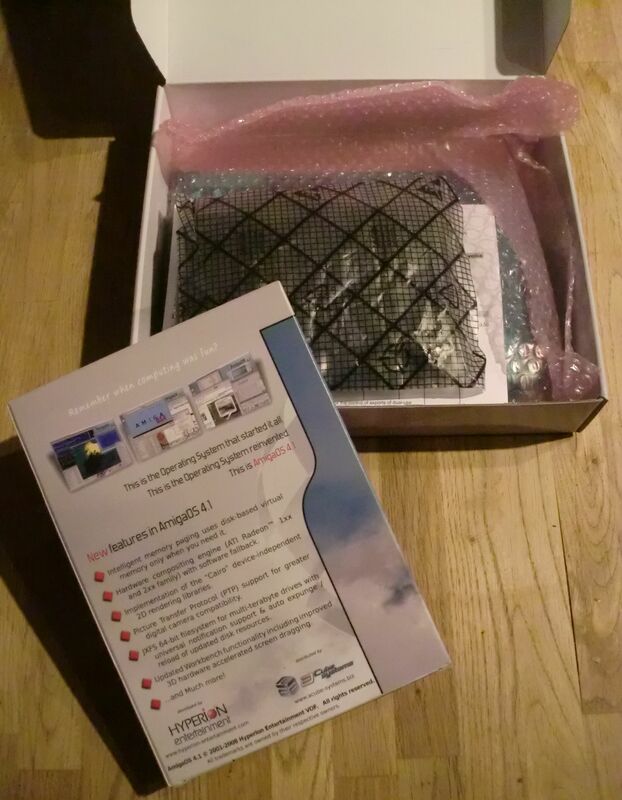 It was a package from ACube Systems in Italy. 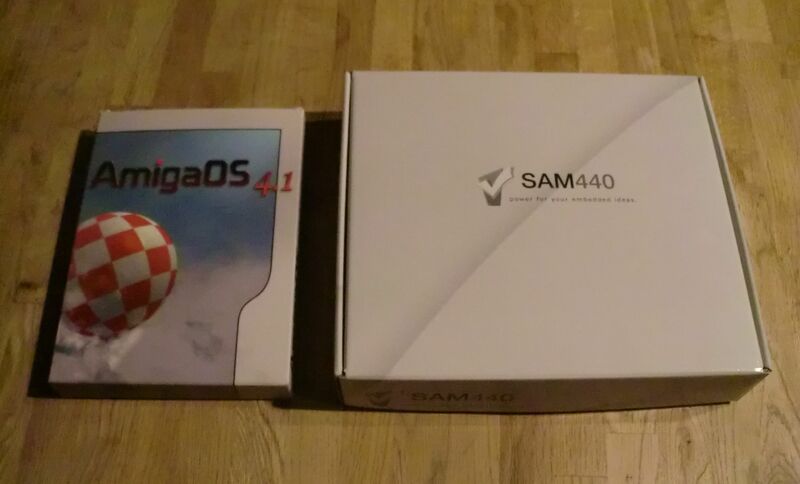 It contained a SAM (Samantha) 440EP-Flex motherboard (with accessories) and a copy of AmigaOS 4.x in a cardboard box! 😀 I was, as you can imagine, very happy when I unboxed the items. Seems like Old School Game Blog will go AmigaOS 4.x in 2014!! Now I’m looking forward to get everything up and running. I already have a graphics card I got from Alinea Computing, but still need to get a case. I have one that is designed for mini-ITX boards, but this one is flex-ATX, so it won’t fit. Hopefully I’ll get that sorted next week. 🙂 I will of course post pictures of my setup as soon as it is ready to go. Thanks for reading and have a happy new year 2014! Thanks! 🙂 I will do some writing about it once it is ready. Awesome! Cannot wait for when make the next post to see how it turns out. I had a good holiday, just waiting for the next semester to begin. Glad to hear it. 🙂 Best of luck with your studies! Looks like you’ve for yourself a nice little project there. I’m also looking forward to seeing more as you begin the build/setup etc. Thanks for popping by and for commenting. 🙂 Will upload some stuff soon. 😉 Happy new year to you as well! Thanks. 🙂 I’ll head over to your blog now to check it out. Thanks for commenting! Me wants to hear some real life user stories about this beast too! Hi Rebb! Long time, no see. 🙂 Hope you and yours are well. Sorry it has taken so long, but soon I’ll get some pictures of the “beast” up here on this blog. The computer is working nicely and it has all the OS updates installed. Stay tuned! This takes time.. now it is March! :O Time flies! Hope spring is on the rise in Finland too. Cheers! Very cool! I know nothing about the Amiga, so looking forward to learning more! Hi there! Thanks for commenting and for visiting my blog. The Amiga is a fun and interesting computer platform. Definitely worth checking out!